From Texas to New Mexico up into California’s Central Valley, space entrepreneurs are setting up shop. China’s recent show of military strength in space echoes the parry and feint of the U.S. and Soviet Union during the Cold War. A history lesson could help us avoid any further escalation. Once only a theory, a newly discovered world may be similar to our own. Our Sun warms and coaxes life on Earth, but its gift of energy is a double-edged sword. 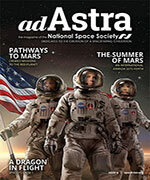 Unless humanity is cautious, the search for life on Mars may cause more harm if it is indeed found. Not content to keep his litter planetside, mankind has exported the problem into low Earth orbit, endangering his own explorations. 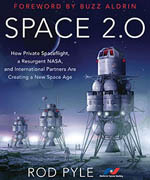 The missions change, but America’s leading spaceport rises to the occasion time and time again.